Since Stardust was founded in 1997, we’ve provided over 3,000 people every month with affordable, reclaimed building supplies. From large scale remodels to simple repairs and repurposing projects, we’re proud to provide sustainable materials that get the job done. Our pros will deconstruct if needed. Shop donated items in store. Our mission is to provide quality reclaimed materials for reuse. This mission is driven by our vision of a future without waste; a sustainable community where resources are reused or redistributed. For the past 20 years, we’ve rallied behind reducing landfill waste with a simple call to action: Starve the Landfill. This led us to providing quality reclaimed materials to thousands of customers and diverting more than 80 million pounds of usable materials from piling up in landfills. Appliances, fixtures, cabinetry, and more. At Stardust Building Supplies, you’ll find these items at a discount of 50 to 80% compared to regular retail stores. You can shop happily knowing you’re contributing to the sustainability of your community while finding the perfect items for your home. Stardust makes salvaging materials through our home pickup, drop-off, and deconstruction services easy and carefree. Our deconstruction services are a win-win for contractors and their customers—you don’t have to pay for demolition, as Stardust removes the usable materials, and you’ll avoid high dumpster and landfill fees. Stardust is the only material reuse organization that’s local to the Phoenix metro area. For over two decades, we’ve worked with the construction industry, remodelers, and suppliers to implement eco-friendly practices. Contractors enjoy reduced labor costs and the simple deconstruction process. 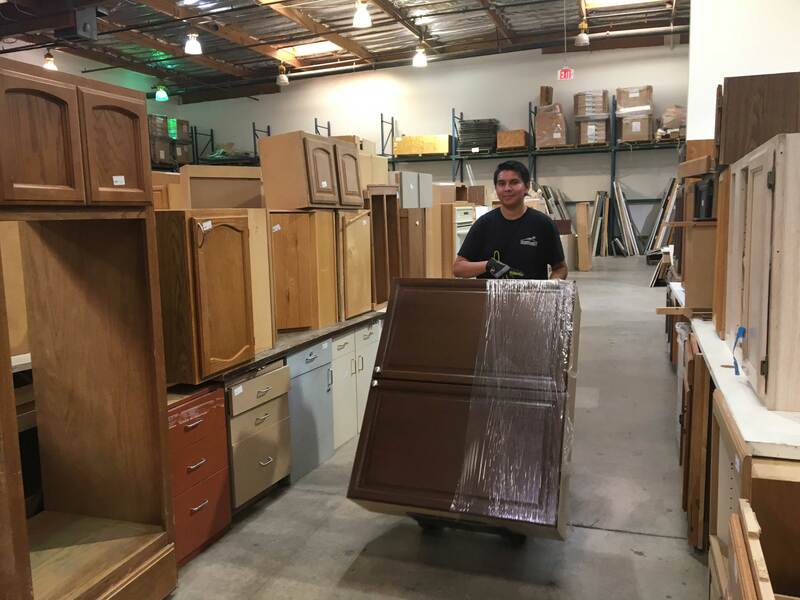 Suppliers enjoy the ability to easily donate unwanted or excess building materials with free donation pickup. Both parties come away with the satisfaction of knowing that they’re contributing to the sustainability of their community and giving building materials a new life. Since 1997, Stardust has diverted nearly 80 million pounds of usable building materials from landfills. Stardust serves more than 54,000 customers per year with reclaimed materials that make every project possible. Our Gifts In Kind program has provided nearly $21 million in household items to serve the community since 2012.